The Korean church’s decision to worship at the Shinto shrine during the era of Japan’s forced occupation remains a painful memory even today. When this decision was made by the Korean Presbyterian Church in September 1938, there was a missionary who opposed it, seeking a reformed faith and dreaming of a Korean church on the right path. 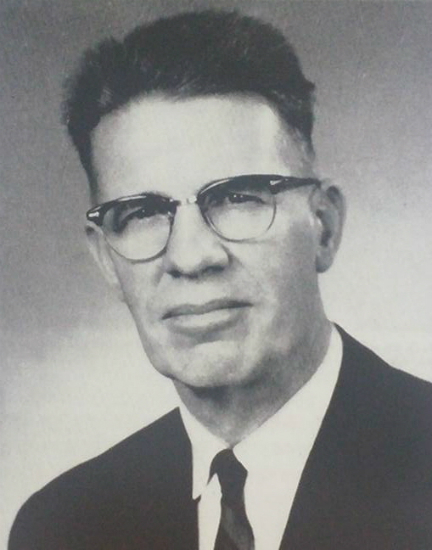 This missionary, known as highly knowledgeable about Korea, was Rev. Han Bu-seon (English name: Bruce Hunt, 1903∼1992). His letters to his wife, totaling some 1,500 pages from October 1946 to July 1948 (vol.1~4), and his interviews after retirement were collected and published recently in the five-volume “Han Bu-seon Collection” (photo) by KIATS. Born to Missionary Han Wi-ryeom (William Hunt)’s family in 1903 in Jaeryeong, Hwanghae-do, the missionary son grew up together with Korean children. When he left to attend high school in the United States in 1919, he brought with him a hand-drawn Taegeukgi (Korean national flag) that he had picked up at the Independence Movement site, framed it and kept it for life. After graduating from Princeton Theological Seminary in 1928, he was dispatched to Cheongju as a missionary of the United Presbyterian Church in the U.S.A. (PCUSA, 북장로교). He was married to Han Ga-tae (Katharine Blair), also a native of Korea and the daughter of Missionary Bang Wi-ryang (William Blair), and they had five children. When the Korean church passed its resolution in 1938 to worship at the Shinto shrine, Missionary Han raised an objection, stating that to do so was idolatrous and absolutely not Biblical. Afterwards he signed the “Presbyterian Covenant” with fellow Christians opposed to Shinto worship, and kept his faith. The newly published “Interviews” and “Letters” include his voice explaining the reason and background for his opposition to Shinto worship. 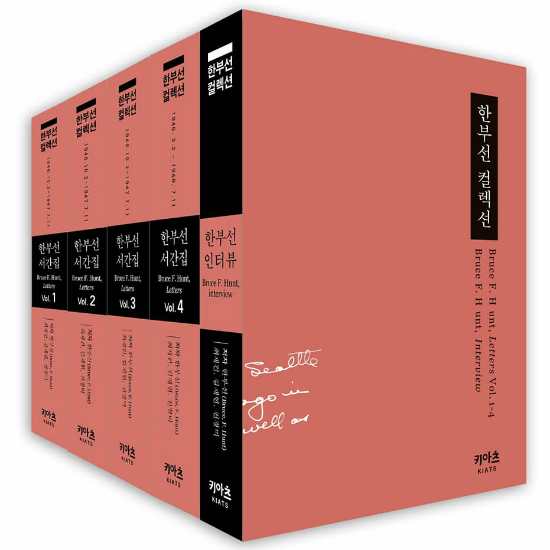 The interview collection has been newly transcribed and translated from tape-recorded interviews of Missionary Han in March and May of 1980 and in October 1982 with Wheaton College (USA), which was in the process of expanding its mission resources. “Letters” is a collection of his private letters written every two or three days to his wife, who was residing in the U.S. with their children. The letters specifically record the circumstances of the Korean churches in Busan and Gyeongnam area and of the early Kosin Seminary during the U.S. Military Government era immediately after National Liberation in 1945. It is interesting to read this foreigner’s candid evaluations and behind-the-scenes stories about main figures of the time. The path to publication of the collection had many ups and downs. When the existence of Missionary Han’s original letters became known, former Prof. Choi Jae-geon of Yonsei University, who was in the U.S. in 1987, photocopied all 1,500 pages of the handwritten letters. Later, Prof. Choi attempted to publish a translation of the letters, but was faced with practical difficulties. Some years later, Rev. Jeong Ju-chae of Hyangsang Church and the late Prof. Hong Chi-mo of Chongshin University helped with the translation, and Missionary Han’s children proofread the draft. But these efforts still fell short of achieving the goal of publication. Finally in 2016, Rev. Jeong and Rev. 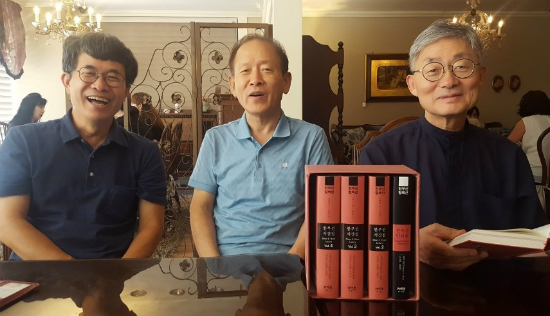 Jeong Geun-du of Ulsan Church showed the material to Director Kim Jae-hyeon of the Korea Institute for Advanced Theological Studies (KIATS) and asked if it could be published. The dates of the letters were all mixed up, but Director Kim recognized the importance and value of this historical resource. Director Kim, Dr. Jeon Gyeong-mi, and other researchers in Korea and overseas worked on the material for two years. As publication time neared, great help came in the forms of financial support and encouragement from 20 churches and pastors of the Presbyterian Church of Korea (PCK Kosin), including Rev. Lee Jong-gwan of Ulsan Shimin Church. *Top photo: (From left to right) KIATS Director Kim Jae-hyeon, Rev. Jeong Geun-du of Ulsan Church, and Rev. Lee Jong-gwan of Shimin Church in Ulsan celebrate the publication of the “Han Bu-seon Collection.” Photo taken on August 7.